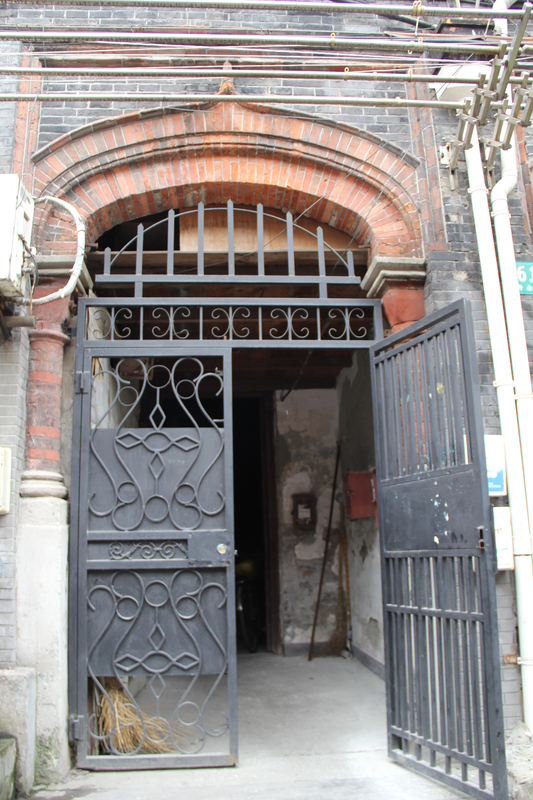 Part #11: Family History in Shanghai | Nam Writes. 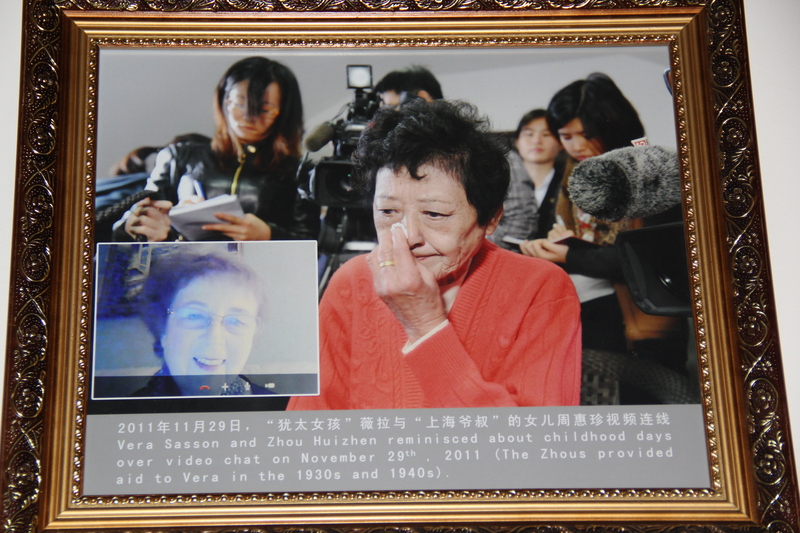 Our Sunday morning in Shanghai was a special day – and one of the reasons we traveled across the globe. 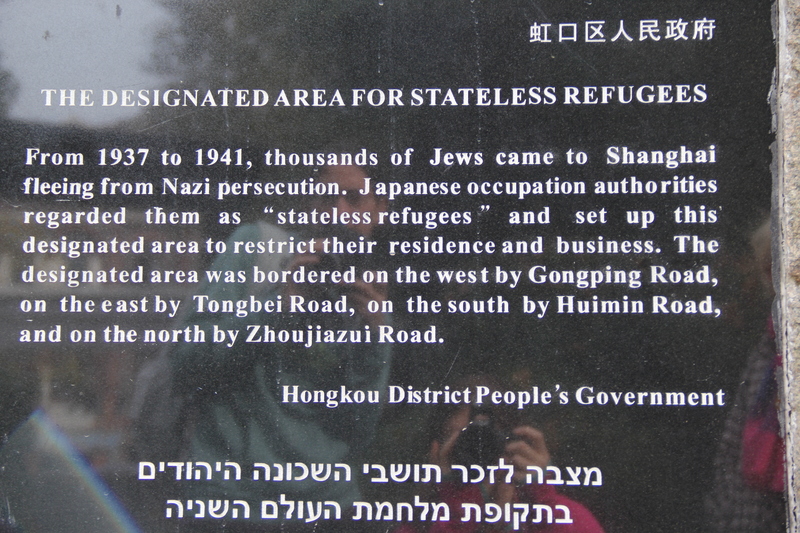 For years, my mom has been telling us about how my grandparents escaped Nazi-occupied Poland by securing illegal visas to Japan and ended up living in the Shanghai Ghetto until they were liberated in 1945. 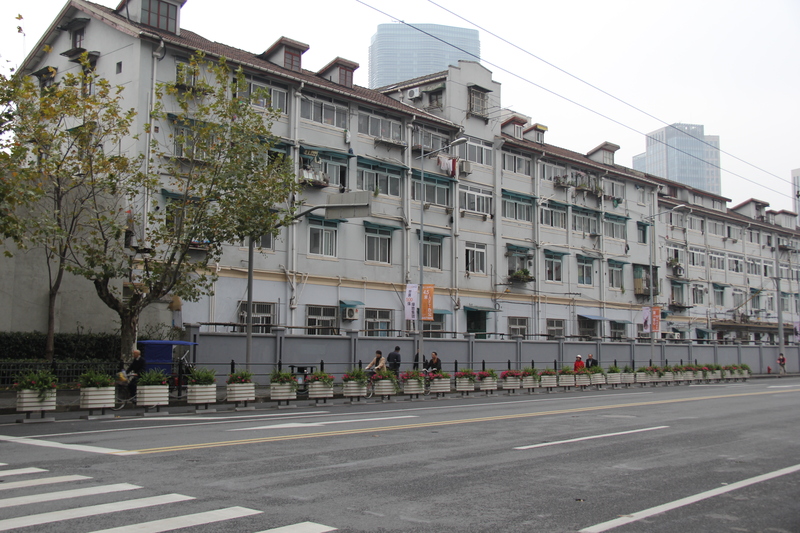 When I was kid growing up in Chicago, I never imagined that one day I would travel to China and walk those same streets as my grandparents. 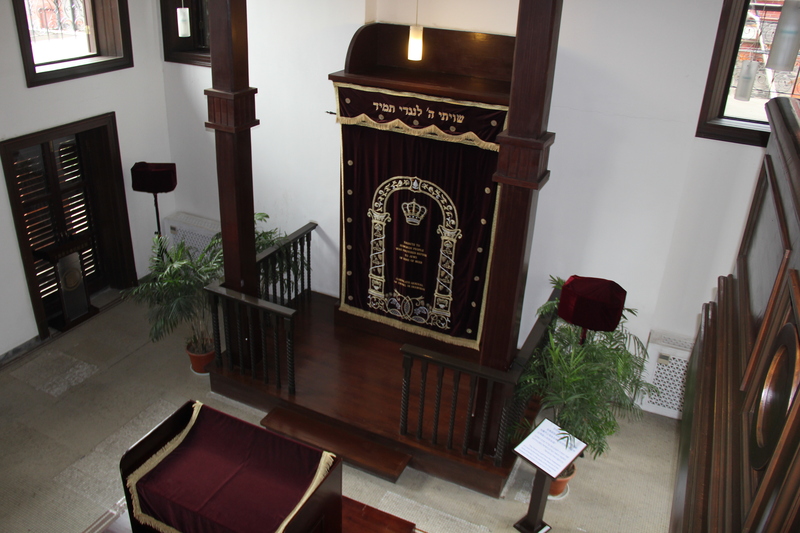 Many people have never heard the name Chiune Sugihara, but for thousands of Jews in Eastern Europe, Sugihara was a hero. 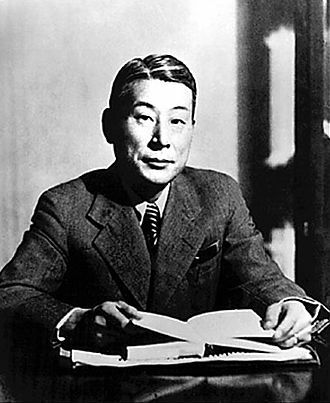 Chiune Sugihara was a Japanese diplomat who became the vice-consul for Japan in Lithuania in 1929. 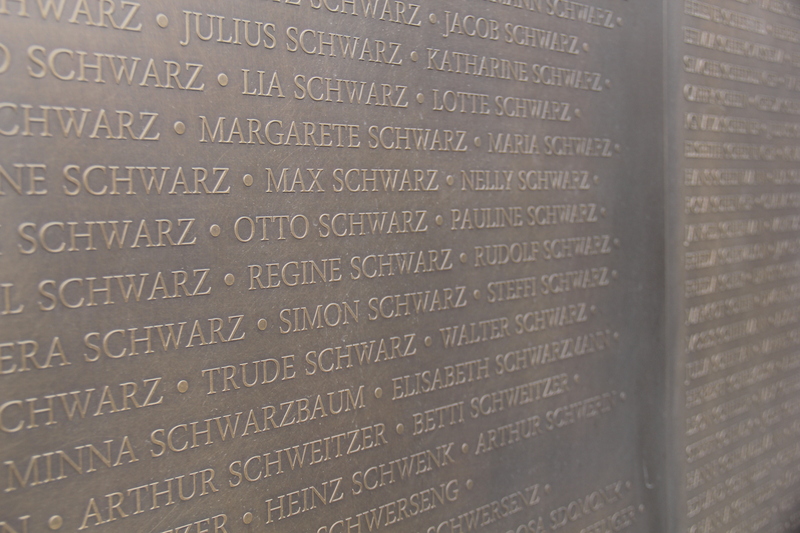 During World War II, he handed out thousands of transit visas to Polish and Lithuanian Jews seeking travel to Japan. This was no small thing. According to official Japanese rules, visas were only supposed to be granted to people who had the appropriate funds and a visa for a third destination to leave Japan. 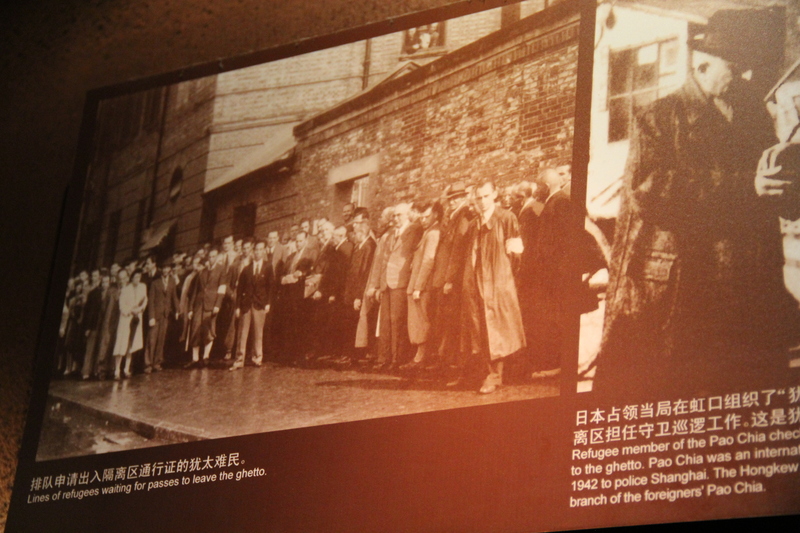 Most of the Jews receiving Sugihara’s visas did not fill the bill. 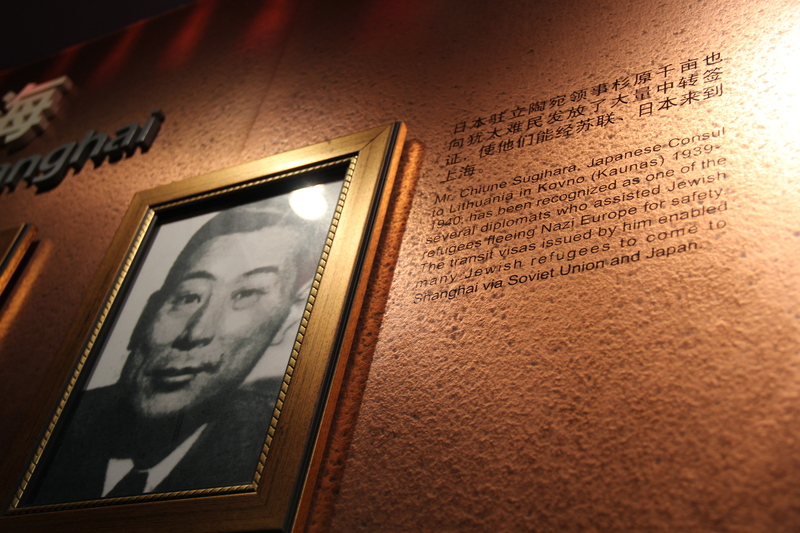 My grandparents were lucky enough to secure two of Sugihara’s illicit visas and rode the Trans-Siberian Railway across Russia before taking a boat to Kobe, Japan. 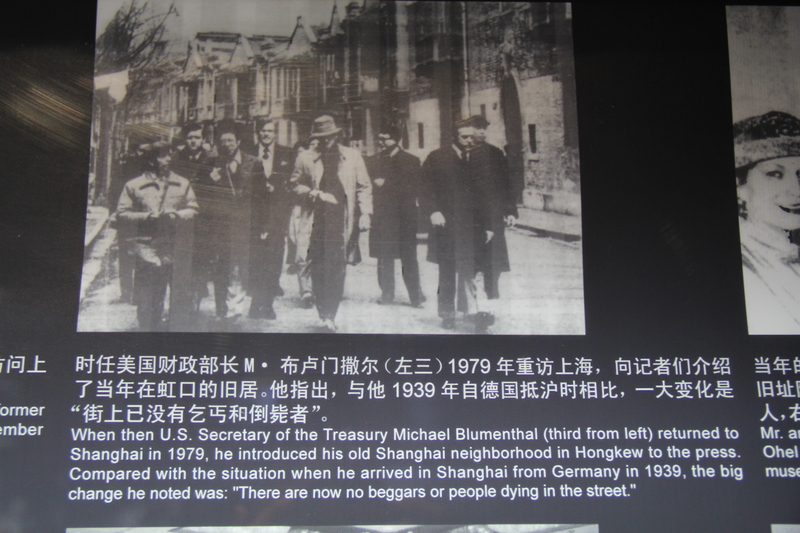 The Japanese were not all that interested in taking in thousands of European Jews so the government shipped them, including my grandparents, off to Shanghai, which was under Japanese occupation at the time. 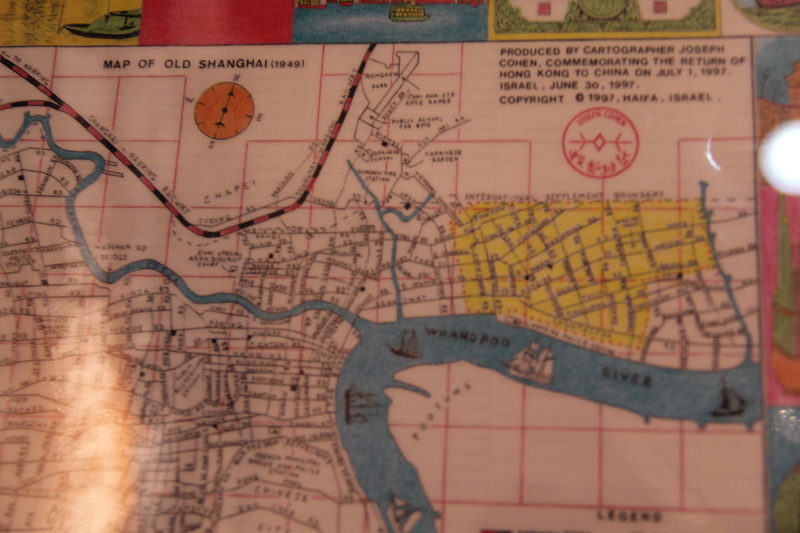 So that Sunday morning, my sister and I rode the subway to Shanghai’s northern Hongkou district. 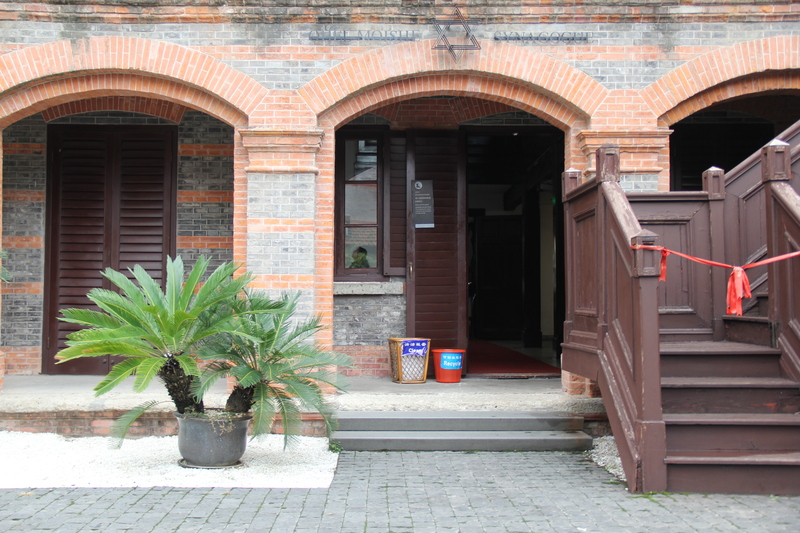 Today, there is nothing particularly spectacular about the area. 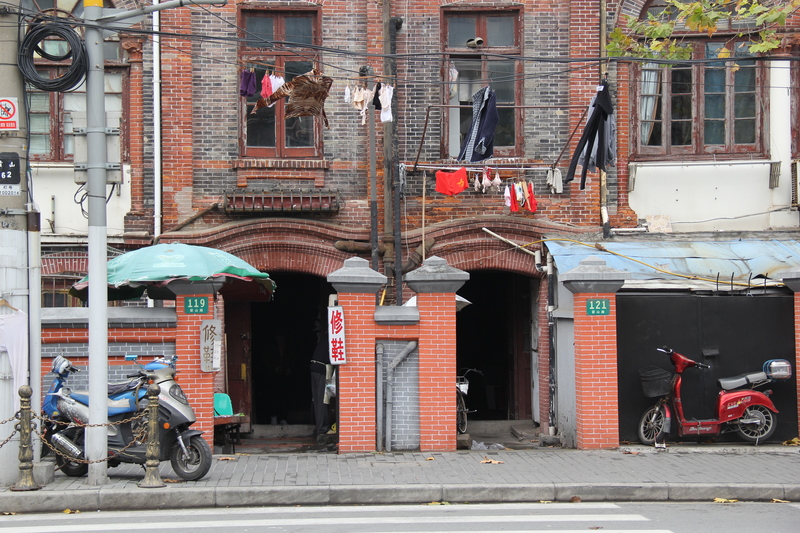 It is a crowded and poor residential area filled with old apartment buildings and corner stores. 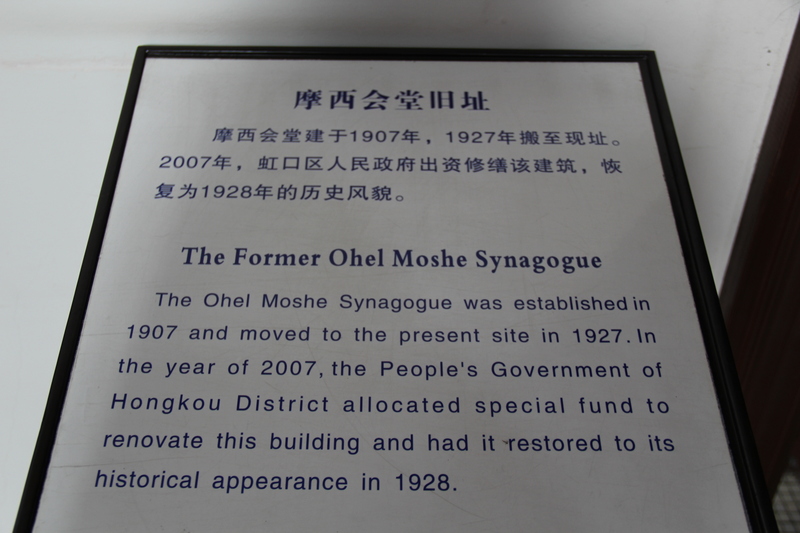 The Shanghai Jewish Refugee Museum is housed in the former Ohel Moshe Synagogue in the old ghetto neighborhood. 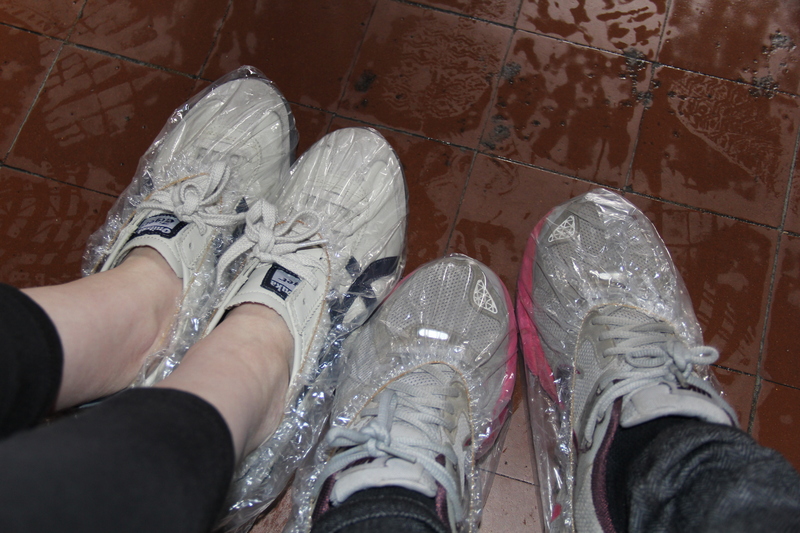 All visitors are required to put plastic covers on their shoes to protect the synagogue. For some reason, we found this hysterical. 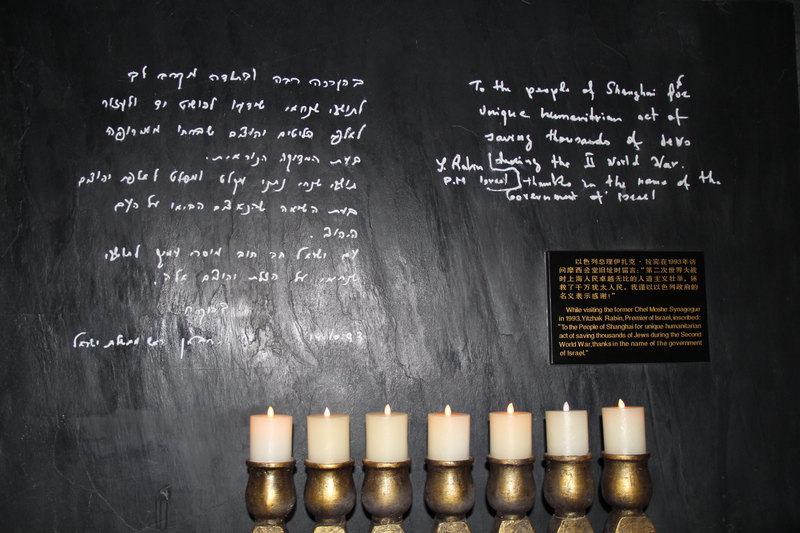 The second and third floor contain photos of and letters from the ghetto’s residents and other important people and places from the time period. 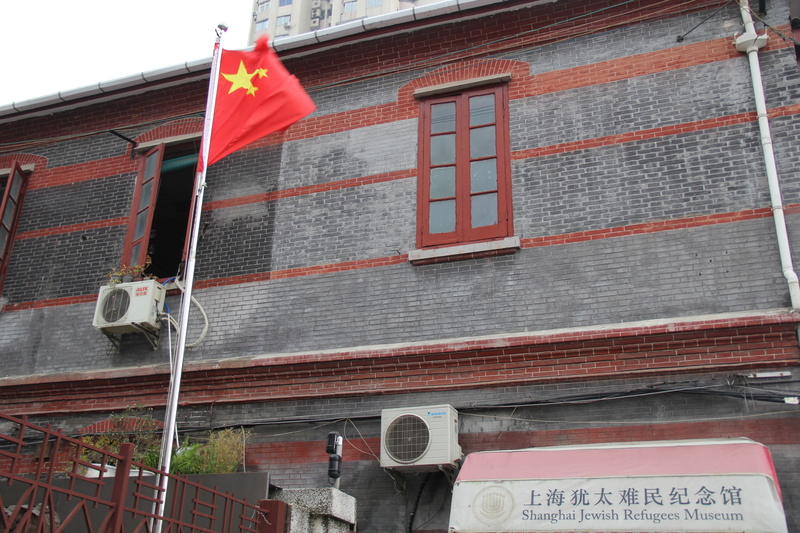 When Israeli Prime Minister Yitzhak Rabin visited the Shanghai Ghetto in 1993, he inscribed these words: “To the People of Shanghai for unique humanitarian act of saving thousands of Jews during the Second World War, thanks in the name of the government of Israel. 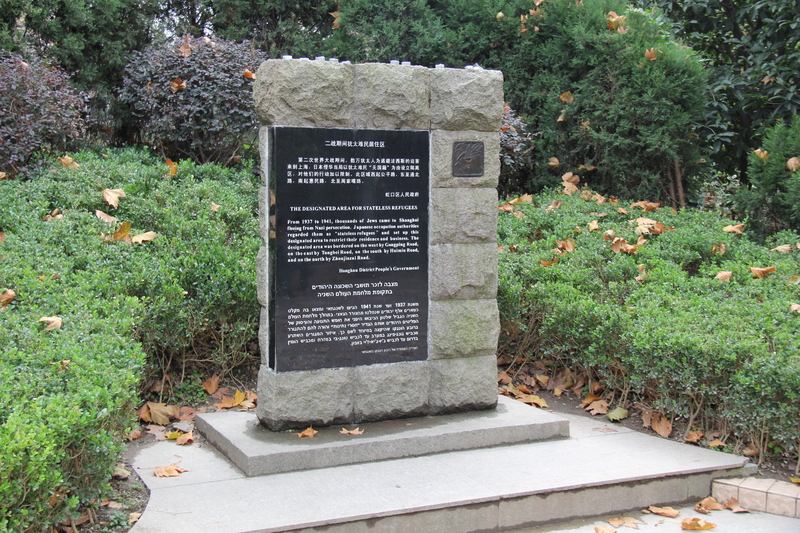 A Jewish monument was built in Houshan Park in memorial to the Jews who lived there. 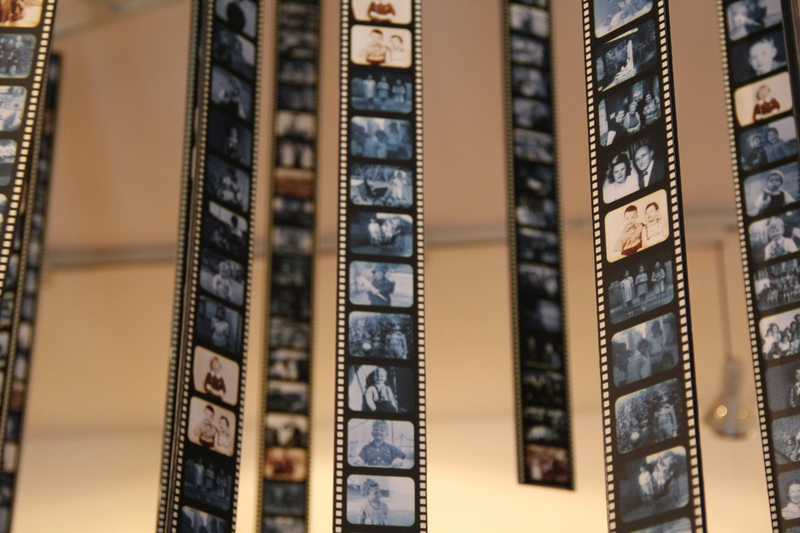 The museum is small, but it was an incredible — not to mention personal — experience. 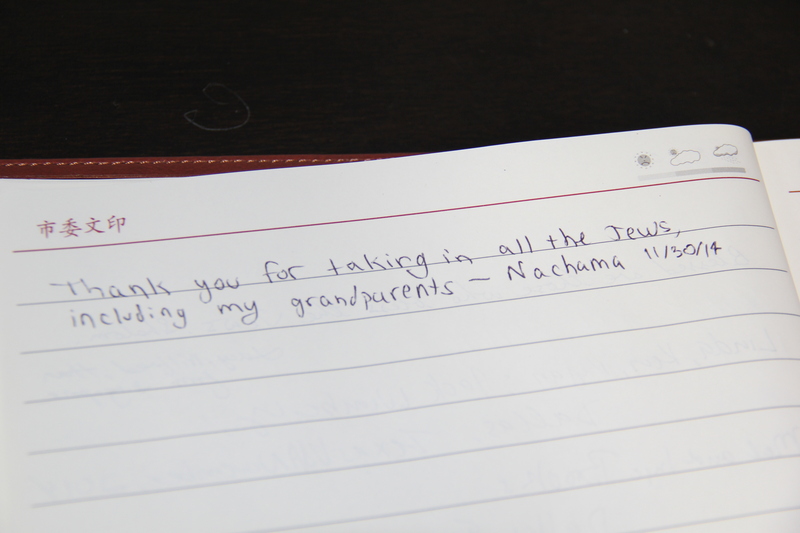 I left the following inscription in the guest notebook at the Ohel Moshe Synagogue.